Fedora, the Red Hat-backed community Linux distribution, has announced the availability of version 13. The Fedora project has targeted the release at a better user experience through more integration of automation tools on the desktop. Examples include automatic printer driver installation; automatic language pack installation; a redesigned user account tool; colour management to calibrate monitors and scanners; and “experimental” 3D support for Nvidia video cards. In the case of printing, drivers are installed on-demand when the hardware is detected by the operating system. Version 13 comes six weeks after the beta release and six months after version 12. The default desktop environment for Fedora is GNOME, which has been upgraded to 2.3 and KDE users can download the KDE “spin” for the latest KDE SC on the desktop. Multimedia work is also aimed at improving the desktop experience. Fedora's default sound server PulseAudio now has better integration with KDE, which can manage PulseAudio devices. The release also ups support for webcams. The inclusion of the SIP Witch VoIP client allows Internet telephony without the need for a central service provider. SIP Witch can be used with a SIP-compatible softphone for secure, peer-to-peer voice communications. At the system level, Fedora 13 can be installed over the Internet, more authentication options, NFS improvements and roll-back support for the Btrfs file system. Btrfs is a next-generation file system for Linux, but it is still in active development. Like Red Hat Enterprise Linux, Fedora is moving its default virtualisation hypervisor to Kernel-based Virtual Machine (KVM) and away from Xen. For developers Python 3 can be installed in parallel with an existing Python stack and there is support for the Java EE 6 specification in Netbeans 6.8. 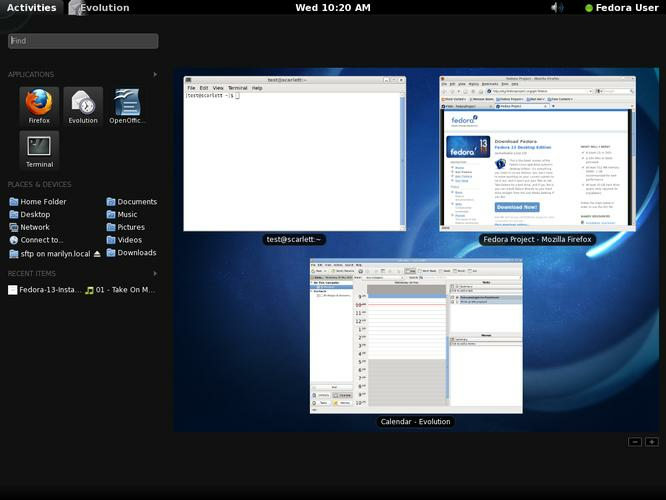 Fedora 13 also packages the Zarafa open source edition, a groupware suite that resembles Microsoft’s Outlook Web access. This release will also mark the end of mainline PowerPC architecture support in Fedora. PPC users and developers are encouraged to join the PowerPC Special Interest Group. The full feature list for the 13 release is available on the Fedora wiki.